Manila - The International Rice Research Institute (IRRI) said Wednesday it has received an 11-million-dollar grant to fund an ambitious project to develop a higher-yielding rice variety that could boost production by up to 50 per cent. The Philippines-based IRRI said the Bill and Melinda Gates Foundation will provide the grant over a three-year period to fund the C4 Rice Consortium. The C4 Rice Consortium aims to re-engineer photosynthesis in rice to increase the production of grains, according to IRRI scientist John Sheehy, who is the project leader. "Given the demands from an increasing population, combined with less available land and water, adequate future supplies of rice will need to come in large part through substantial yield boosts and more efficient use of crop inputs," Sheehy said. "This is a long-term, complex project that will take a decade or more to complete," he added. "The result of this strategic research has the potential to benefit billions of poor people," he added. 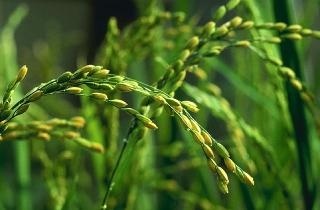 The C4 Rice Consortium involves partners from leading research organizations worldwide.